An approx. 40,000 Educational use property, Green Bridge Real Estate represented the Seller, School House Finance in the sale. The Buyer was an investor that was renting to a charter school management company. Property closed escrow for $365,000 on August 24, 2016. A Lease renewal of approximately 41,235 sq.ft. of Industrial Office / Warehouse / Showroom to City Desk Office Furniture Warehouse in September, 2014. Green Bridge Associates kept in touch with City Desk owners and worked on an expansion plan of their existing space. The adjacent leased location was being used on a month-month basis by City Desk and was part of the front office for the warehouse that was the existing showroom for City Desk. The functionally obsolete office space was being marketed by another brokerage and was being shown periodically with very little interest in the current configuration. It would have cost the current landlord substantial tenant improvement dollars to get the space market ready and the tenants looking here not willing to pay for the improvements. The landlord used this situation to negotiate a longer term lease with the tenant and this provided an opportunity to expand into the front office section. City Desk received the expanded space and received a tenant improvement allowance from the owner. City Desk managed their own tenant improvements to expand their office furniture showroom making the space more receptive to potential customers looking for office furniture. City Desk was able to secure a long term lease and increase their showroom square footage and improve their showroom appearance. The Church Facility is an approximate 5,028 square feet on 4.65 acres which sold and transferred in January 2015 for $401,500.00. 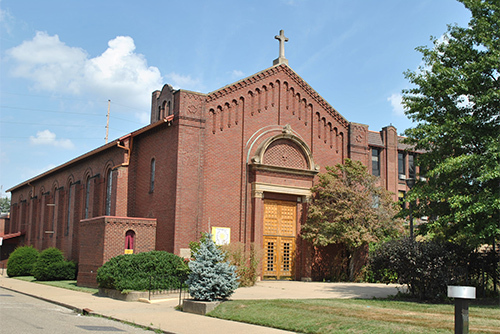 Green Bridge Real Estate and Debra Kaplan represented Saint Gregorious Malankara Orthodox Church on the acquisition of the property. The seller of the property was Bible Believers Baptist Church, which had been at the location since 1988. Saint Gregorious Malankara Orthodox Church of Cleveland found this location to be convenient to their increasing membership needs. An approximate 4,200 Sq.Ft. Office space was subleased in November 2014. Matthew King, CCIM represented the sublessor, the Aegis Data Center, in the sublease of the office space. Aegis Data Center was under-utilizing approx. 4,200 Sq.Ft. of office space located within its approximate 10,000 Sq.Ft. data center. Matthew King was able to find a complementary business to occupy and utilize the office space providing additional revenue to the data center operator. Rick Mickunas, Principal of Aegis Data Center commented "This is a win-win situation for both parties. Aegis achieved a new customer and valuable partner. The Portaro Group got spacious new office space and the opportunity to offer their customers colocation and other data center services. These complimentary businesses will thrive in their new environment. Matt did a fantastic job navigating the entire process and I have no hesitation recommending him to any Commercial Owner." Commercial Property sold and transferred in May 2014 for $325,000, SOLD ABOVE ASKING PRICE! The Former Salvation Army Community center was built after the Hough riots in 1966 and was meant to serve the local community. 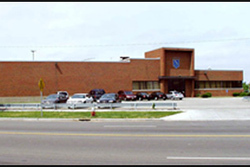 The Facility had a swimming pool, gymnasium, lower level roller skating rink, multiple class rooms, full commercial kitchen and assembly Hall. The total building size is 57,000 sq.ft. It was offered with several corner lots totaling approximately 3 acres of land. For a half a century the community came to the corner of Hough Ave and East 59th Street to meet, worship and play. The Salvation Army relocated to another neighborhood facility and the New Owners, Oriana House, Inc will take over operation of the property. Oriana House is a Non-profit Community corrections agency and chemical dependency treatment agency operating in several Northeast Ohio counties. Oriana House currently has a location on East 55th Street and will use the Hough Ave property for expanding its community outreach programs to benefit the community. 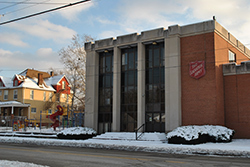 John Wagner of Green Bridge Real Estate represented the seller, Salvation Army in the sale of the 1966, Multi-Purpose Center Asset for $325,000 to Oriana House, Inc. of Cleveland, Ohio. Oriana House Inc. was thrilled with their new purchase and the opportunity the property and location presents. Commercial Property. 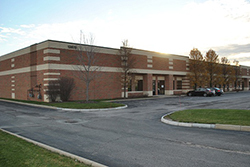 Green Bridge Associates Represented Buyer in the Sale Transaction of 16,000 Sq.Ft. in December 2012. The Property Sold and Transferred for a Total Purchase Price of $350,000 or $21 per Sq.Ft. By networking with other business owners we were introduced to a potential buyer looking for a property he could enjoy with family and friends and conduct business operations in a professional manner. We had many meetings and generated reports to identify potential properties. We toured several properties to help understand what was important to the buyer. Acreage was a key part of the equation and unique property features were important. At one point we considered buying vacant land and building a new building but it was cost prohibitive. After more research and meetings to discuss options the buyer saw a property on the market and had us track down the information. 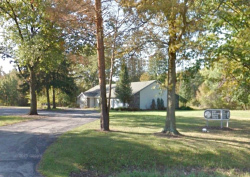 Working with the buyer and the township to verify the zoning would support our use we submitted an offer to the seller's broker and negotiated a purchase agreement that had to close by year end. Staying in contact with the buyer, seller and title company we were able to close by the year-end dead line.